The Red Devils are presently trailing with a 1-0 scoreline after the first leg and they face a huge task of turning around the tie with the Blaugrana unbeaten in the past 30 European games at the Camp Nou. David de Gea remains the undisputed pick when it comes to the goalkeeping role for United. The Spaniard will need to produce another strong showing between the sticks to fend off the likes of Lionel Messi and Luis Suarez from scoring. In the defence, Victor Lindelof and Chris Smalling are certain to feature in the central defensive positions but there will be an enforced change on the left side of the backline. Luke Shaw has been suspended after reaching the yellow card limit for the competition and his absence should witness Ashley Young slot into the role, with Diogo Dalot featuring in the opposite side of the central defence. 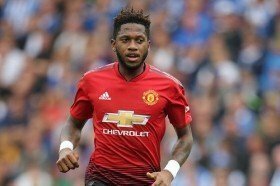 In the midfield, Ole should stick with the same combination from the first leg with Fred and Scott McTominay making up the central positions while Paul Pogba could be afforded with an advanced role ahead of them. In the attack, a three-man partnership could be the case with Anthony Martial and Marcus Rashford flanking Romelu Lukaku. Rashford, in particular, needs to step up his game after failing to notch an attempt on target in the reverse fixture despite the multiple chances up for grabs.